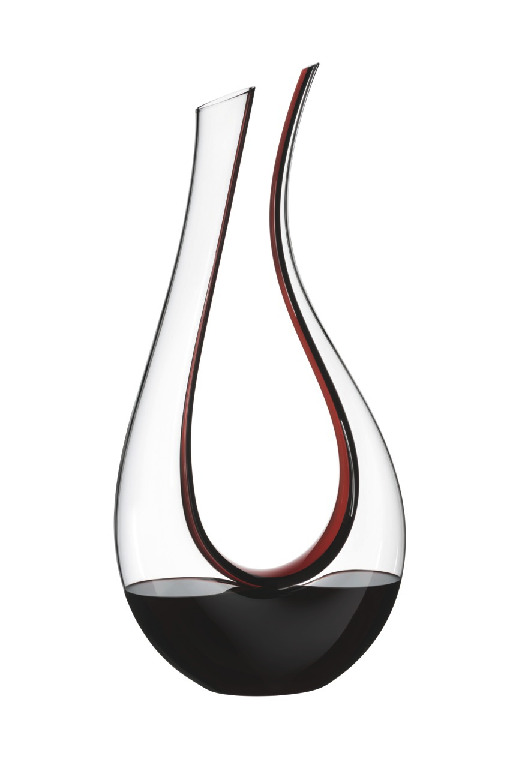 1756/80 - Amadeo Double Magnum wine decanter by Riedel. The Double Magnum Amadeo wine decanter is similar in style to Riedel's original Amadeo decanter, but the main difference is that the Double Magnum decanter holds a much larger capacity of wine (105 7/8 oz versus 59 1/8 oz). This sleek wine decanter also comes designed with three tuxedo stripes (black-red-black) which contour the interior silhouette of the wine decanter.